If the first compact Mercedes-Benz, the 190E, was renowned for its almost indestructible build quality, its successor was better known for all the wrong reasons. The 'W202' generation of C-Class may have been a far more agile and arguably more handsome car, but it lacked the 'W201' 190's cockroach-like resilience to destruction. Indeed, a few years of salty winter roads were enough to see W202 C-Classes erupting into rust-riddled acne, which was enough to trigger a service action from Mercedes to replace rusted panels under warranty. Alas, although Mercedes spent a fortune putting customers' cars right, the rust issue was inherent, and today a W202 is a rare sight - indeed, it's much less prevalent in terms of survival numbers than its predecessor, even though the newest 190E is now a quarter of a century old. Finding a cherished one, then, is quite a thing - and this week's pick of the small ads is just that. 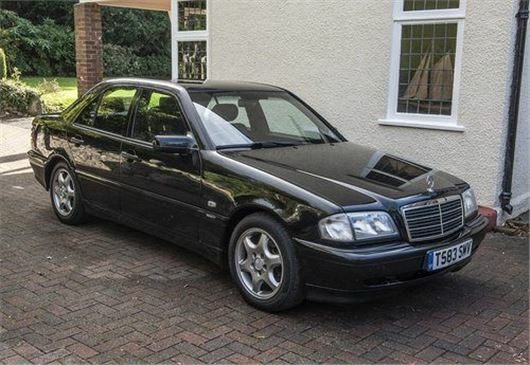 A 1999 C240 Sport, it's one of the later W202s, with a resultant improvement in build quality, and had been owned by the same keeper since 2001. During that period, the car has only been washed by hand, has only used high octane fuel and has been service 13 times. It's also gleaming black, with matching leather trim. Neither the 136,000 miles on the clock nor the £950 asking price seem unreasonable to us.